You’re in the office after lunch, feeling a bit tired and you start to fall asleep at your desk. If this has happened to you – or worse still, you’ve nodded off during an important meeting – you’re not alone. Obviously there are better places to have them, but shouldn’t power naps be encouraged? It seems that across the world more and more employers are opening their eyes to the idea. The Japanese government, for example, recommends a 20-minute snooze each afternoon, with several firms designating sofa-filled rooms for rest. Many of the UK’s four million-plus home workers thrive thanks to daytime power naps. They think it leaves them healthier, more productive and happier. 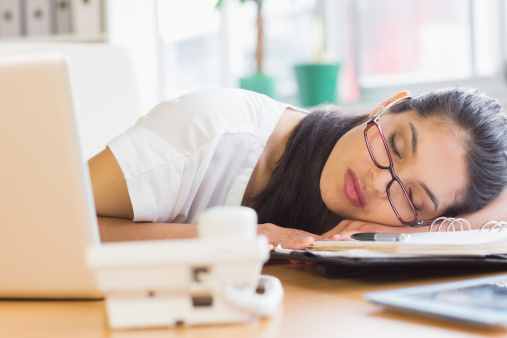 We look at five reasons why power naps are good for you – especially if you work remotely. Harvard sleep expert Dr Robert Stickgold believes that they safeguard your brain circuits against overuse. Georgetown University’s Andrei Medvedev points to reports of great ideas coming to leading scientists in their sleep. Chemist Dmitri Mendeleyev, for instance, claimed he invented the elemental periodic table while asleep. Dr Stickgold also believes they embed freshly-learned data. Dr Medvedev thinks that sleep is nature’s excuse for giving the brain time to concentrate fully on mental organising, data-processing and housekeeping. Another sleep specialist from the UK, Dr Phil Hammond, says that daytime sleeps fuel measurable enhancements in alertness to help us remember things better. Dr Hammond says the key is restricting your office-time nap to between 15-30 minutes a day. If you sleep for longer that this you may experience grogginess or struggle to sleep at night. Insomniacs can find themselves pulled into a vicious circle of “sleep deficit” when consecutive disturbed night-time sleeps accumulate. This impairs our reactions, judgement, eyesight, patience, vigilance, motivation, performance, short-term recall and data-processing. Sleep specialist Peter Venn says that workers should be sleeping for a minimum of six hours with the optimum amount between seven and eight and a half hours. If you’re struggling to sleep at night you can compensate for this by having a nap during the day. This is more easily achieved at home, where it’s and you’re effectively your own boss. The more responsible home workers will be self-starting enough to limit their sleeps and ensure that they prove beneficial when they awake refreshed. If you don’t make up your six to eight and a half hours-a-day sleep quota, you increase your risk of getting type-two diabetes and raised blood pressure, according to the NHS. The level of stress hormone (cortisol) in our bodies greatly reduces when we’re asleep. So having a daytime nap can definitely help to relax you if you’re feeling stressed. This is easier if you’re a home worker – as you can just go to bed for 20-30 minutes (but don’t forget to set an alarm!). But what can office-based staff do short of asking their boss to sing them a lullaby? Well, more and more enlightened companies are providing sleeping pods for workers. Google and Proctor & Gamble offer such facilities for sleeping in the office. An increasing amount of NHS workplaces are also providing staff with rest rooms with comfy sofas. So, as Josephine Fairley suggested in The Telegraph last year, are power nap breaks going to become the coffee break of the 21st century? A poll in the same article suggests they would be popular, with 64% of those surveyed saying they would take advantage of an office sleeping pod if there were some available. This entry was posted in Blog on 30th September 2014 by Velocity.